By admin , in General on April 7, 2019 . 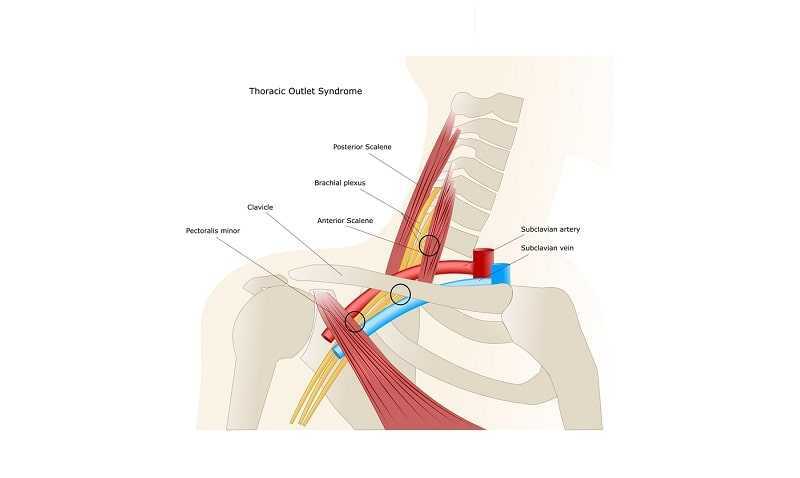 A complex and controversial problem, thoracic outlet syndrome (TOS) is hard to diagnose because it causes a variety of symptoms, many of which can also be caused by other, unrelated, conditions. As a result, some doctors doubt that any non-specific form of the condition exists. The thoracic outlet consists of three passageways running beneath the shoulder from the base of the neck toward the armpit. The passageways are fairly small, and can become even smaller as a result of injury, or repetitive actions and a lifestyle that distorts the normal shape and tension of muscles or the alignment of bones. If this happens, the structures passing through them can become compressed or irritated. These structures include the blood vessels and the nerves that supply the arm, hand, and shoulder. Compressed or irritated nerves and blood vessels in this area are thought to affect between 3 and 80 of every 1,000 people. TOS symptoms depend on whether the nerves or blood vessels are being compressed. Since they both supply the arm and hand as well as the shoulder, signs and symptoms can occur some distance from the site of the problem. Quick Relief To relieve the pain caused by TOS quickly raise the hand of your affected limb and rest it palm down on your head, keeping your upper arm level with your shoulder. This will help open up the thoracic outlet and relieve any compression. *Numbness and tingling in the neck and shoulder. *Pain in the arm and hand. *Pins and needles in the forearm and palm. * Weakness and cramps of hand muscles. *Deep pain in the neck and shoulder, often worse at night. *Throbbing in the area above the collar bone. *Arm pain and swelling, with a weak pulse. * Tiny black spots on the fingers. * A mixture of neurogenic and vascular symptoms because some nerves and some blood vessels may be compressed at the same time. TOS affects women about nine times more than men, partly as a result of differences in the shape of the chest wall, and partly because large or pendulous and unsupported breasts or perhaps the posture sometimes associated with them, can make the thoracic outlet smaller. The avoidance of repetitive actions that involve moving your arm over your head is an important part of prevention, as is the way that you hold your neck. If such movements and positions play an important part in your work, ask an occupational therapist to advise you about best workplace practice, or ask a physical therapist to show you stretching exercises that might help. First, your physician is likely to put you through a series of provocative maneuvers—that is, you will be asked to adopt certain positions or make certain movements to see whether symptoms get better or worse. X-rays may be taken to check for any bone damage and find out if there is an extra cervical rib. An MRI or a CT scan may be used to reveal any soft-tissue problems. Between them, such tests can also help to rule out other problems, such as a tumor, that may be responsible for the symptoms. In some cases, an EMG (electromyography) study may be performed to evaluate nerve damage, while a Doppler blood flow study (an imaging technique that uses sound waves) may be done to check the health of the blood vessels. An Extra Rib Around one in every 200 of us has an anatomical defect known as a cervical rib, which grows out of the seventh cervical vertebra above the first rib; 70 percent of people with a cervical rib have one on both sides of their body. About 10 percent of people with a cervical rib develop TOS. But the rib itself is often not the culprit. Instead a. band of fibrous tissue, invisible to an X-ray causes the compression. If TOS becomes severe, the cervical rib can be surgically removed. Physical therapy is the mainstay of treatment, using ultrasound, mobilizations, a specially tailored exercise and stretching program, and postural correction. 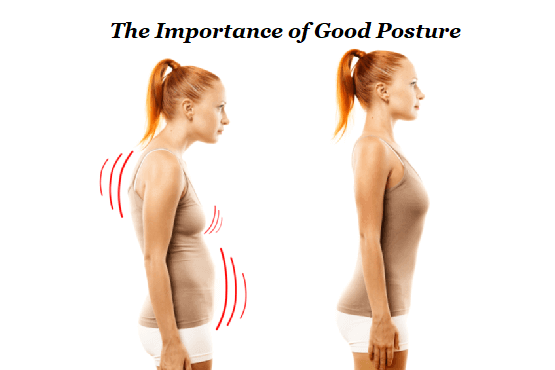 Alexander Technique can help improve posture. Osteopathy and chiropractic can also be effective for some people. Your physician is likely to prescribe muscle relaxants and NSAIDs for pain relief. TENS can also help to ease discomfort. Unless the cause of TOS is a cervical rib or overlarge breasts, surgery is not a first line of treatment, as there is a risk of complications. In fact, it is rarely recommended until other treatments have been tried without significant success.